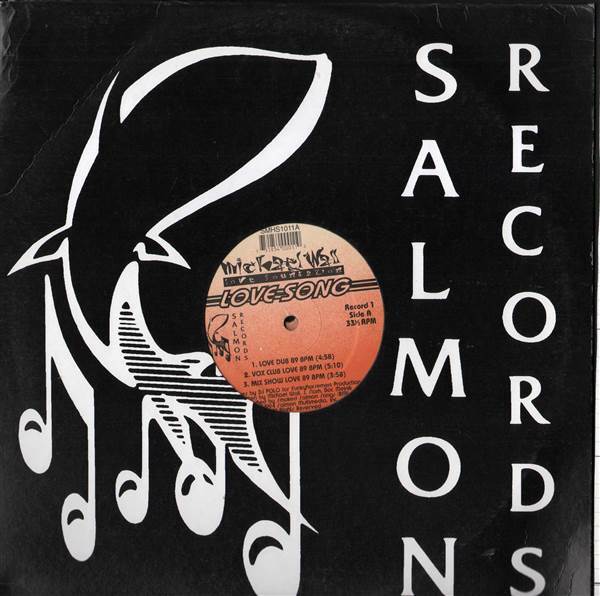 Michael Wall - Love Song 2X12"
HOUSE, Salmon, USA, 1994... With 12 tracks on double vinyl including Love Song (Love Dub), Love Song (Vox Club Love), Love Song (Mix Show Love), Love Song (Saxy Love Dub), Love Song (Nasty Horny Love), Love Song (Ay Papi Vox Free), Love Song (House Of Love), Love Song (Supa Pump Love), Love Song (J.W. Bobbit Love Cut), Love Song (Slam's Dance), Love Song (Funky Beat Vox Love), Love Song (Long Song Unplugged). Dax Riders - People 12" Bad Boy Orchestra - El Loco 12" Isis - Meditate ('96 Remix) 12" Asha - Get It Up (Autographed) 12"
Unknown - Expand With James 12" Abigail - If It Don't Fit 12" Denise Lopez - Too Much Too Late / Stop The Fight 45 Tribe - Don't Go 12"